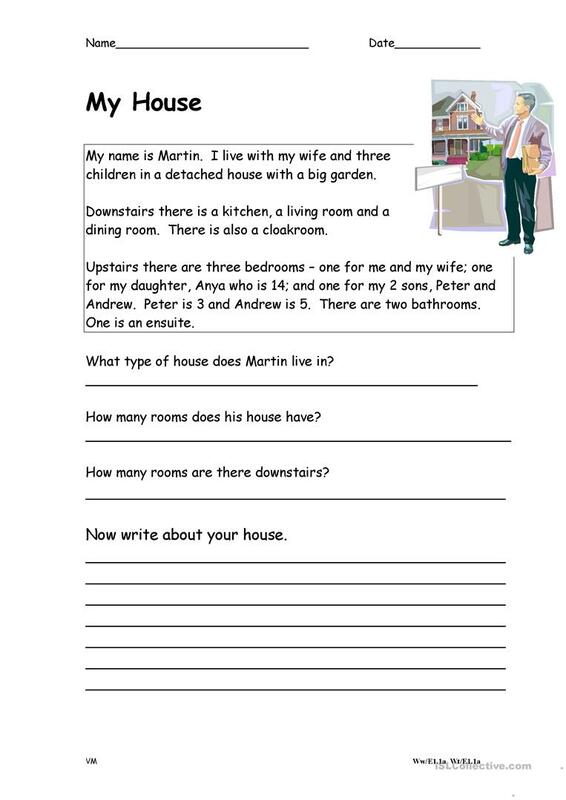 Short reading comprehension about someone's house with limited vocabulary. Questions follow. Can act as a prompt for students to produce their own work. The present downloadable teaching material is best suited for business/professional students, high school students, elementary school students and adults at Beginner (pre-A1) and Elementary (A1) level. It is useful for enhancing your students' Reading skills. It is about the topic and words of Home. AngelaVNO is from/lives in United Kingdom and has been a member of iSLCollective since 2012-12-14 13:19:16. AngelaVNO last logged in on 2016-11-03 02:58:11, and has shared 9 resources on iSLCollective so far.